We’re now entering day two of Breezy vs. Lonny Breaux, and the allegations, innuendos, and rumors are raining down hard and heavy. So, OK, take a deep breath, put on the kettle, and then have yourself a little sit-down. We’ll get through this together. First, the cold, hard facts about the recording-studio-parking-lot brawl — the instigation of which each camp is blaming on the other — courtesy of the good people at the L.A. County Sheriff’s Department: Frank Ocean is considering pressing charges. He’ll need some evidence first, presumably, and may end up deciding it’s not quite worth his time. (Some worthy pursuits he might consider to fill that void: making more dope music; playing with his pet Bernese mountain dog, Everest; just generally continuing to be Frank Ocean.) But for now, L.A. County Sheriff’s spokesperson Steve Whitmore says, Ocean is “desirous of prosecution.” He then added, straightforwardly, “We’ll find out what happened,” dashing all hopes that the L.A. County Sheriff’s office has in its employ a spokesperson who talks in the manner of an old-timey, silver-tongued Wild West lawman and/or Yoda. And what do the Grammys say about this? Why, “The incident will not have an impact on the show’s scheduled performances,” of course! But if Ocean and Brown were just unofficially on the bill, they could very well be unofficially kicked off it, too. And if they were to be punished, should it go down all-encompassingly, NBA double-tech style? Or should the NARAS try to figure out who did what and when? Because, while TMZ initially reported it was Ocean who kicked things off, they’ve since changed their tune. Now they’re saying that, after the fight over the parking spot erupted, Brown tried to quash things by reaching out to shake Ocean’s hand. 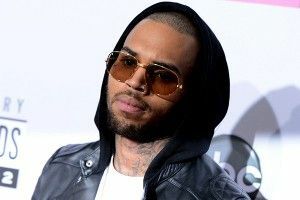 When Ocean scoffed, Chris Brown, being Chris Brown, “cold-cocked” him. Boom, brawl. Parking hierarchy! Parking hierarchy! Parking hierarchy!!! I want a 10,000 word oral history on this parking hierarchy. No, I want around-the-clock CNN coverage of this parking hierarchy. No, I want a 10-hour, 15-part documentary series on this parking hierarchy. Call Ken Burns! Call everyone! Counting Down the Top 10 in … NIGERIA!